It happens slowly. At first, you add a little extra time to get a load fully dry. After a while, you have to run your dryer for two full cycles to get it to fully dry your clothes. The good news is that you may not have to get a new dryer to avoid damp clothes. The following dryer repair troubleshooting guide can help you get your dryer drying again. Of course, if you need additional help, It Is Fixed Appliance Repair is available seven days a week to assist you. We know how hard it is to fight a service call in your tight schedule, so we offer night and weekend appointments. Call us today or book an appointment online. Your dryer operates on the principle of evaporation. Your clothes tumble in hot, dry air which quickly evaporates the water stored in the fibers. When you want to get your laundry over with as quickly as possible, it makes sense that you may want to shove as many clothes as possible in your dryer. Unfortunately, overloading your dryer is counter-productive. If the dryer drum is too crowded with damp clothes, there won’t be enough airflow to evaporate the water. At best, it may take additional cycles to fully dry your clothes. At worse, an overloaded dryer may not spin, or it may even burn your clothes. Always follow the manufacturer’s’ guidelines regarding load size for your model. This not only ensures the dryer functions properly, over time it saves you money by preventing damage to your machine and your clothes. Clothes that are too wet can’t be dried in a dryer. Instead of tumbling, the clothes will cling, twist, and clump together, preventing airflow and evaporation. 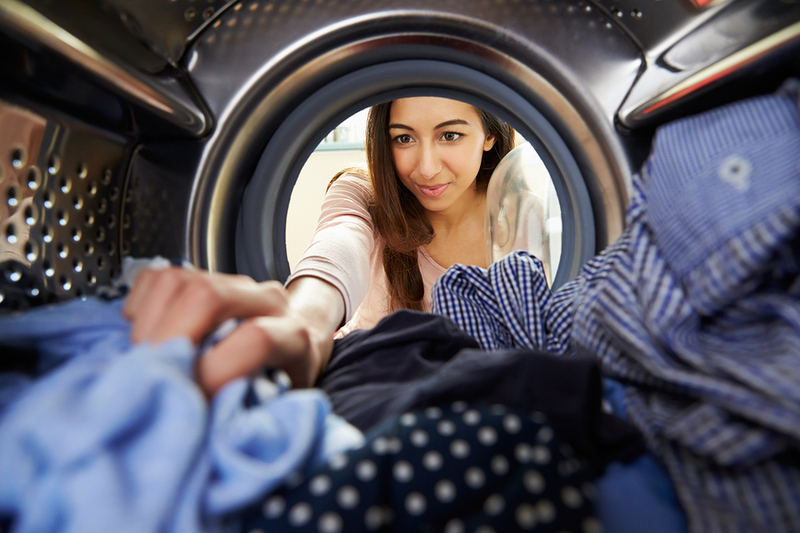 Always squeeze as much water as possible from clothes before putting them in your dryer. If you have a washing machine, the spin cycle should leave your clothes lightly damp, which is perfect for drying. If your washer is not removing enough water during the spin cycle, adjust the settings for a longer spin cycle. If the problem worsens or is not resolved by changing the settings, your washer may not be spinning properly. Refer to our washing machine troubleshooting guide for more information. Lack of airflow is the most common cause of a reduction in dryer efficiency. There are several places in the system where a lint clog may be preventing necessary airflow. If the inside of your dryer is hot and damp, but your clothes are not getting dry, you most likely have a lint problem. Inspect the Dryer Lint Screen. For proper dryer maintenance, we recommend cleaning the lint screen every time you use your dryer. Simply removing the surface lint may not be enough. Cloth fibers can clog the mesh of the filter. To ensure your lint screen is clear, rinse it thoroughly in warm, soapy water. Allow the filter to dry completely before returning it to your machine. Inspect the Dryer Lint Screen Compartment. Your lint screen cannot block 100% of lint fibers. Because of this, you may find lint buildup inside the compartment that houses the filter. Use a flashlight to check the lint compartment. If you see dust or tufts of lint, clean it thoroughly with the hose extension of your vacuum cleaner. Inspect the Internal Dryer Vent System. To promote airflow and prevent linty waste-heat from entering your home, your dryer has a system to vent hot air outside. The dryer should be connected to the external vent via a corrugated metal hose or an aluminum elbow tube. For more information on the ideal heat vent setup, refer to our dryer maintenance guide. Warning: If you have a plastic or vinyl hose connecting your dryer to the wall, discontinue use immediately. Only metal products are safe to use with a dryer. Check for bends, kinks, rust, or any damage that might prevent airflow. Verify that there are at least four inches of clearance between the dryer and the wall. Disconnect the duct from the back of the dryer and look inside for clogs or lint buildup. If the duct is damaged or clogged, it will need to be replaced. These parts are inexpensive and carried by most hardware stores. Inspect the external vent system. This is the duct that carries hot air from the wall to the exhaust termination outside your home. Use a flashlight to check for clogs or buildup. If there are multiple bends, you may not be able to see the entire duct, but if there is lint or debris inside the duct, you should see evidence of it in the visible section. Another way to test for a clog is to turn on your dryer and check for airflow at the outside vent. If you cannot feel air from the vent, something is causing restricted airflow. We recommend hiring a professional duct cleaning service to ensure the ducts are clear and safe to use. Some models of dryers have a rubber or vinyl gasket around the door to help keep warm air inside the dryer, and cool air out. Inspect the dryer door gasket. 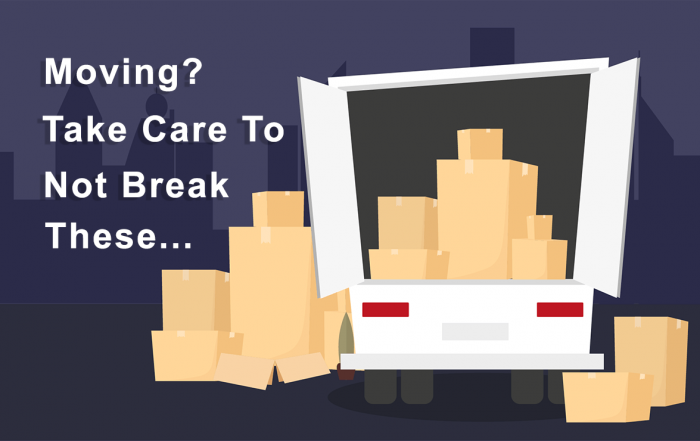 If it is cracked, torn, or shows visible signs of wear, it may need to be replaced. Turn on your dryer and feel around the door for escaping heat. If you feel airflow around the door, the gasket is the most likely reason your clothes are drying more slowly. It Is Fixed Appliance Repair carries original parts for most major brands. We offer fast, friendly dryer repair services seven days a week. Contact us today for a service call. Most dryers are on a dedicated electrical circuit that uses two circuit breakers. While rare, it is possible for only one of the circuits to trip. If this happens, the dryer may operate, but it won’t be able to draw enough power to activate the heating element. Inspect the circuit breaker to ensure both circuits are active. It is also important to ensure the dryer is connected to an appliance outlet. Standard outlets in the US only operate at 120V. Electric dryers are power-heavy devices. If your dryer can’t draw enough power, it may turn but not heat up fully. If you do not have a 240V outlet where your dryer is located, we recommend contacting a licensed electrician to install an outlet for you. If you are using an extension cord, make sure that the extension cord is rated for use with a 240V appliance. Using a lower-rated extension cord will prevent your dryer from functioning normally, and it is also a fire hazard. If you have a gas dryer, a 120V outlet may be all you need. Different models have different energy requirements. Refer to your owner’s manual for more information. An important component of your dryer’s safety features is the thermal fuse. If your dryer gets too hot, the thermal fuse will blow, cutting power to the heating element. Most dryers manufactured after 1980 have a thermal fuse installed. If the thermal fuse blows your dryer may not turn on, or may the drum may not turn. In some models, the drum will spin, but the dryer will not produce heat. Unfortunately, the thermal fuse only has a single use lifespan. If the fuse blows, it will need to be replaced before your dryer can function normally. Testing the thermal fuse requires a multimeter. It is not difficult to replace a thermal fuse, but if you do not use the correct part for your brand and model of dryer, it will not work. It Is Fixed Appliance Repair can test your thermal fuse and replace it if necessary. We carry original parts for most major brands. If we don’t have it in stock, we can order it. Contact us for assistance. Warning: Before using your dryer, it is important to determine why the thermal fuse blew. If your dryer is overheating, it may cause a fire. Following the steps in our dryer maintenance guide may help you keep your dryer from overheating again. This dryer repair troubleshooting guide may also help you track down and repair issue. The blower wheel pulls hot air over the heating element and pushes it into the dryer drum. If the blower wheel damaged or slipping, hot air can’t circulate through the dryer. If the blower wheel is the culprit, you may hear loud vibrations or a high pitched squeal from your dryer in addition to needing additional cycles to fully dry your clothes. Inspect the blower wheel. Disconnect the dryer from the power. Following the instructions in your owner’s manual, remove the back panel of your dryer. In some models, you may have to remove the entire dryer shell to access the blower wheel. Once you have located the blower wheel, check for signs of wear. If it is damaged, it will need to be replaced. Unlike other parts, there are no easily discernible clues that indicate a faulty thermostat or heating element. The only symptom may be that your clothes take a long time to try, or your dryer doesn’t get hot. Testing these parts require the use of a multimeter. If you have eliminated other potential causes, we recommend contacting a professional appliance repair service like It Is Fixed to diagnose the issue and, if necessary, replace the defective part. It Is Fixed Appliance Repair carries factory original parts for most major brands. We have technicians trained in dryer repair on call seven days a week. If you are in Atlanta, or the Metro Atlanta area, call or book online for a fast, friendly, same day* appointment.